Oh this is one of those super houses I come across that I just love. Anyone that can do white on white this well is a star for me. 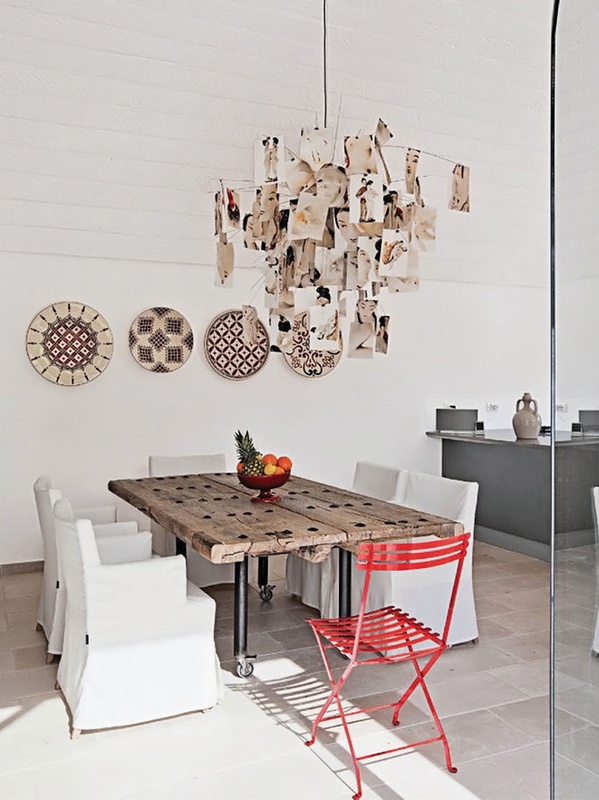 Line Kay, who is a stylist and photographer as well as the owner of this home, has such good taste. (you must check out her Instagram ....swoon!) 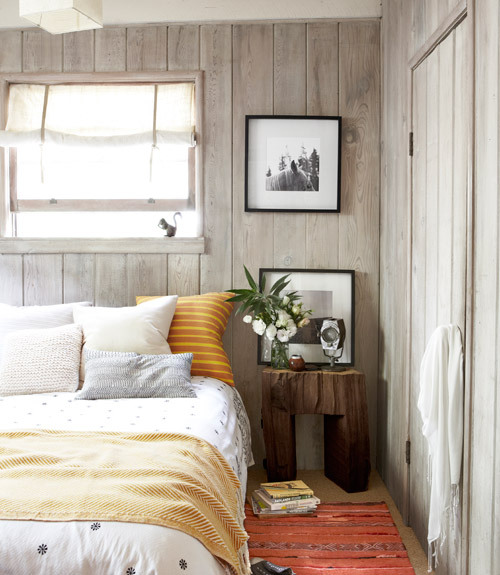 A bit of natural wood and accessories in wood tones break up the white but keep the right mood at the same time. 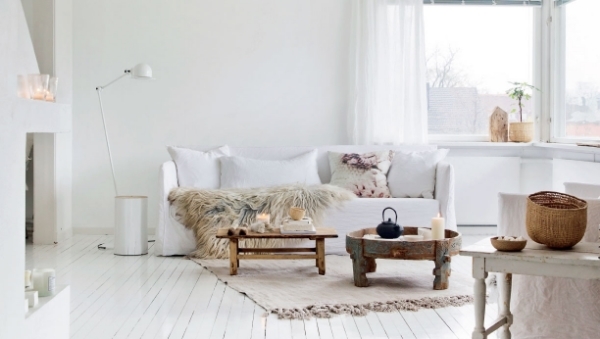 The white wood floors are such a favourite! 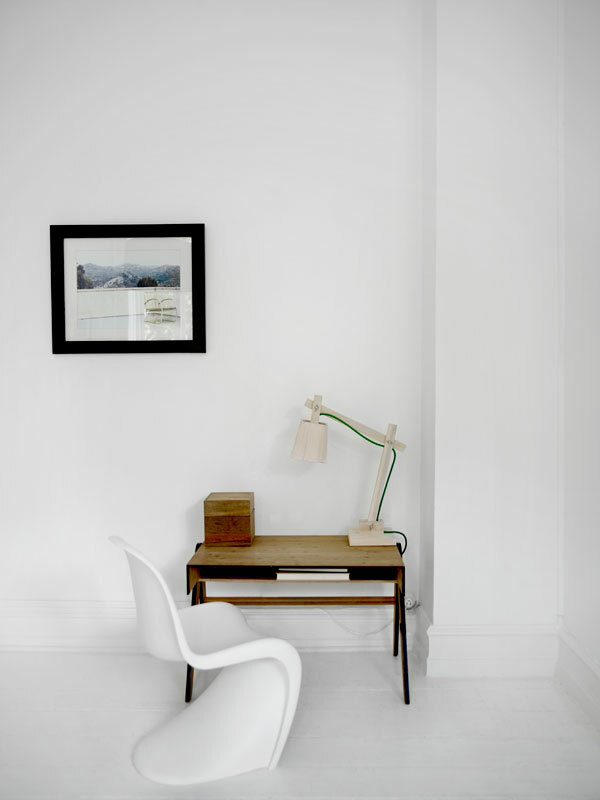 Are you brave enough to do white on white like this? 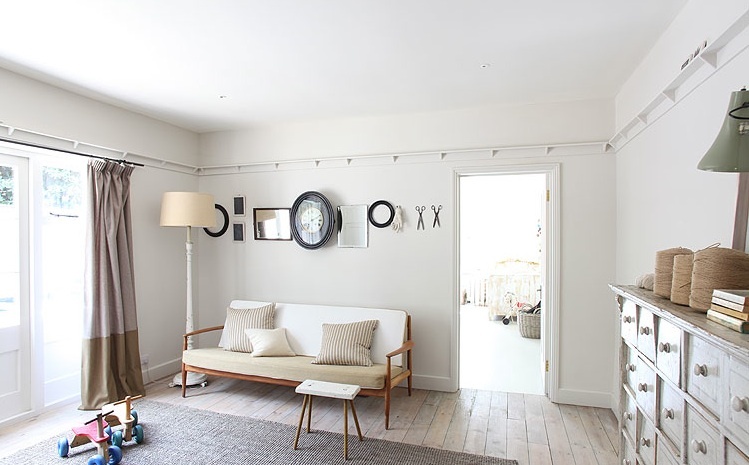 This gorgeous Scandinavian apartment is owned by a couple who are in the business of branding various companies, something I am very familiar with. 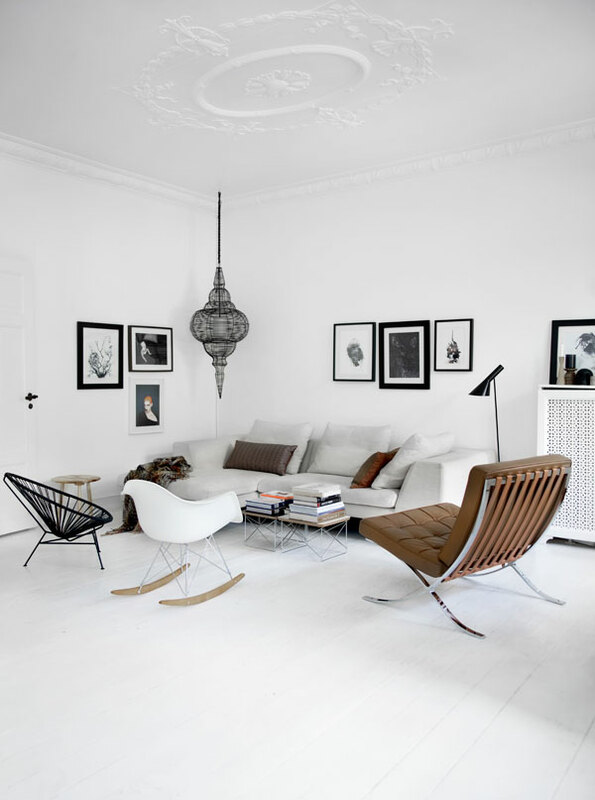 Their beautiful home has a very consistant flow throughout that makes such a great clean statement with all white, black and warm wood....even the leather is in the same tones and feels just right with the rest of the pieces. 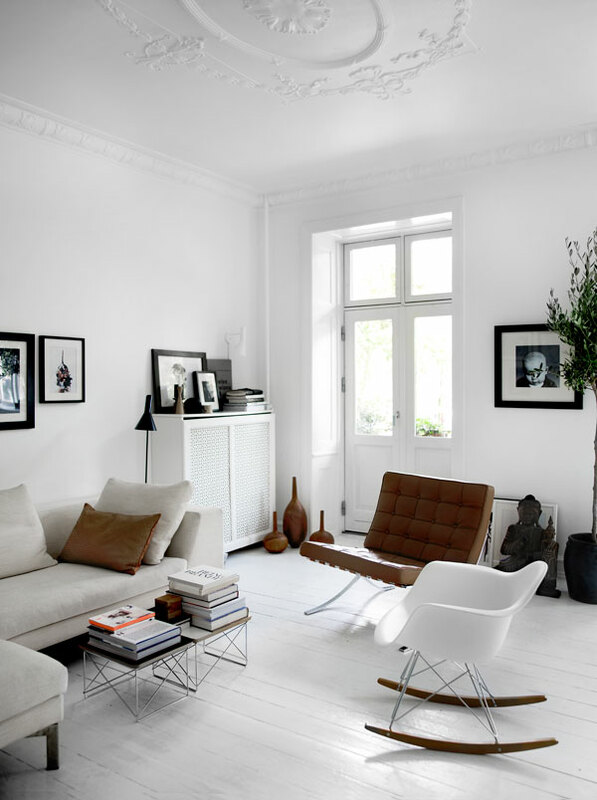 There is also a nice softness mixed with the harder lines in this apartment. 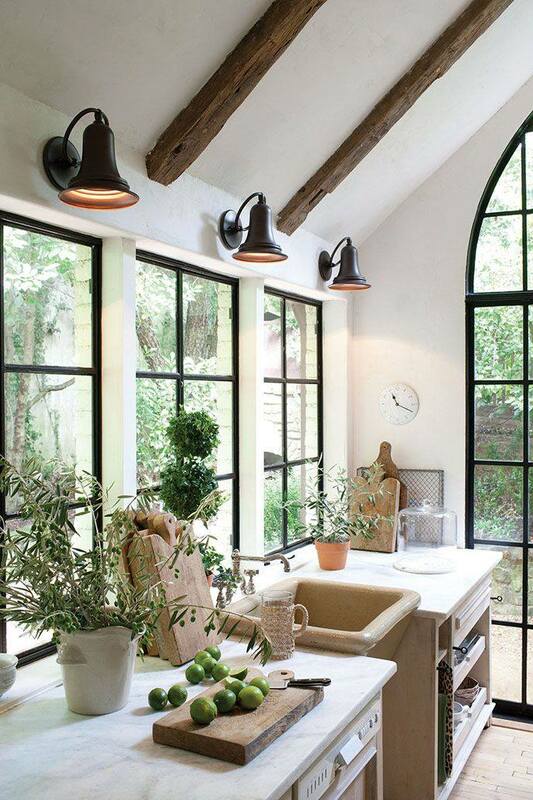 The office is also perfect with two identical desks and lamps in a great large workspace.. I have had a Tumblr blog for a couple of years and I love checking out the other amazing blogs on Tumblr. So many great collections of photos with interesting themes. 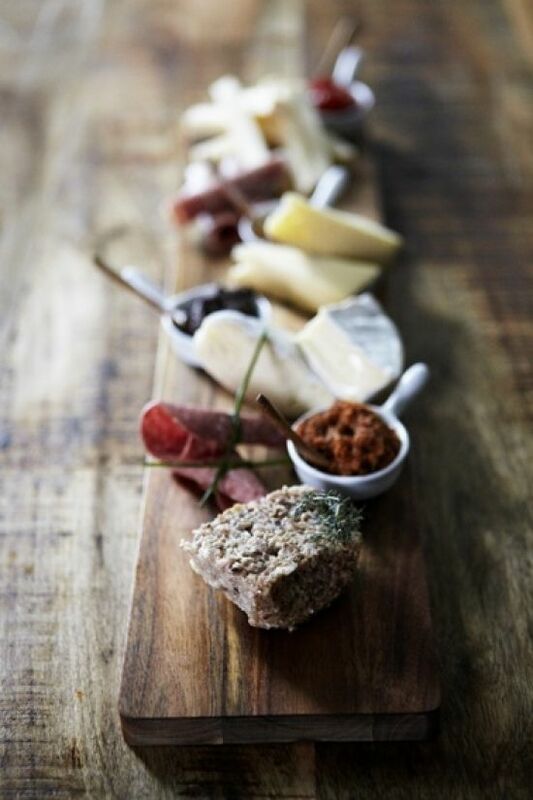 I came upon this Tumblr blog called Bread and Olives and I find the name suits the wonderful collection of photos so well! I find myself really entransed by these pictures! 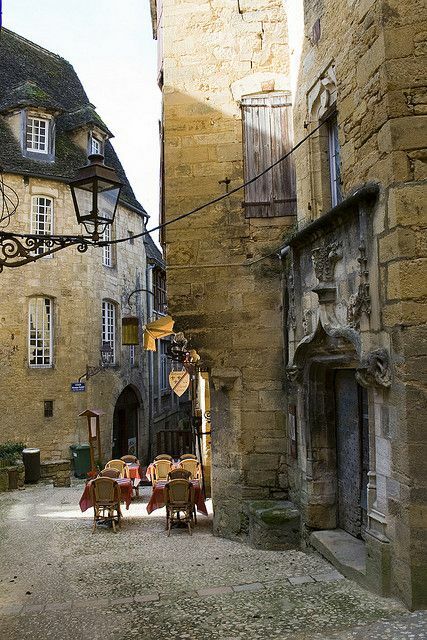 I love Italy and the South of France and these pictures transport me there...wandering through old villages, eating fantastic food, the markets, smoky cafe's and wonderful decor. 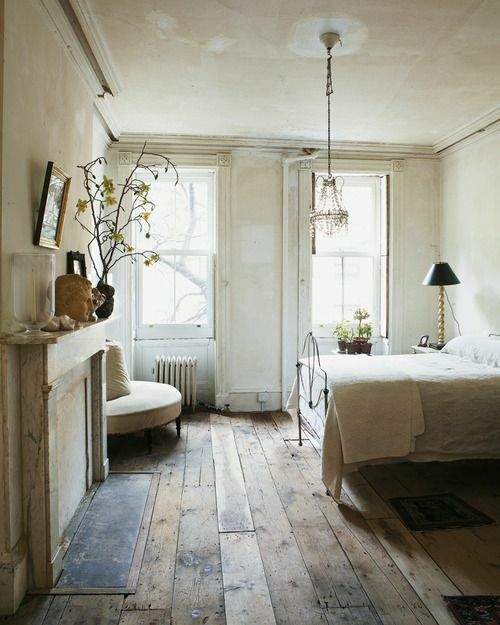 There is this ancient feeling with old wood, stone and terra cotta tiles, mixed with peeling paint....a vintage lovers dream. 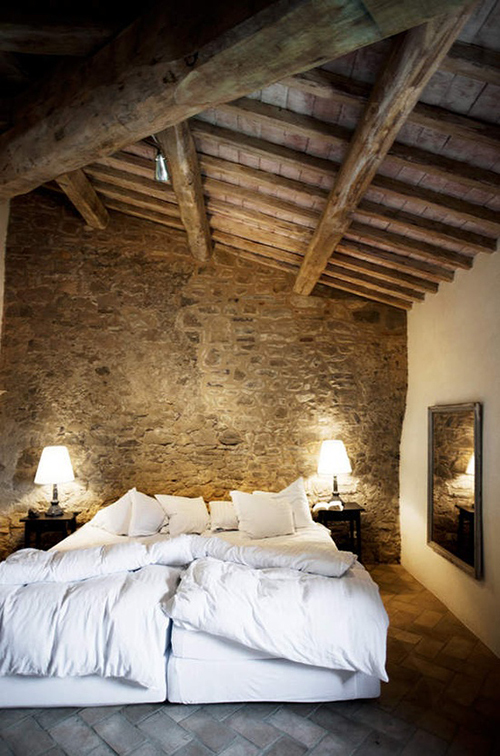 Take a look at some of my other favourite posts on Italy and France.. 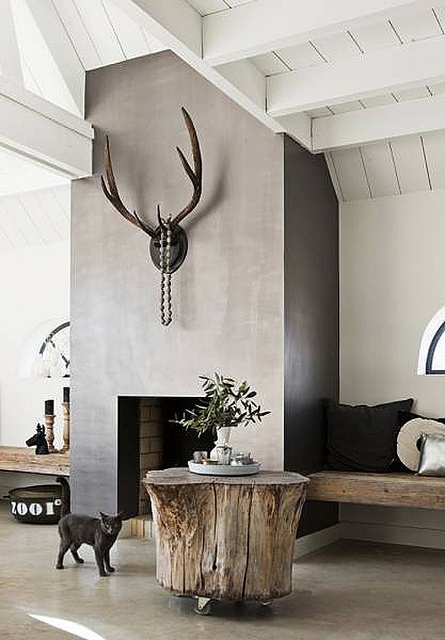 There is something about raw looking, greiged wood that adds a kind of deconstructed feeling to a space. 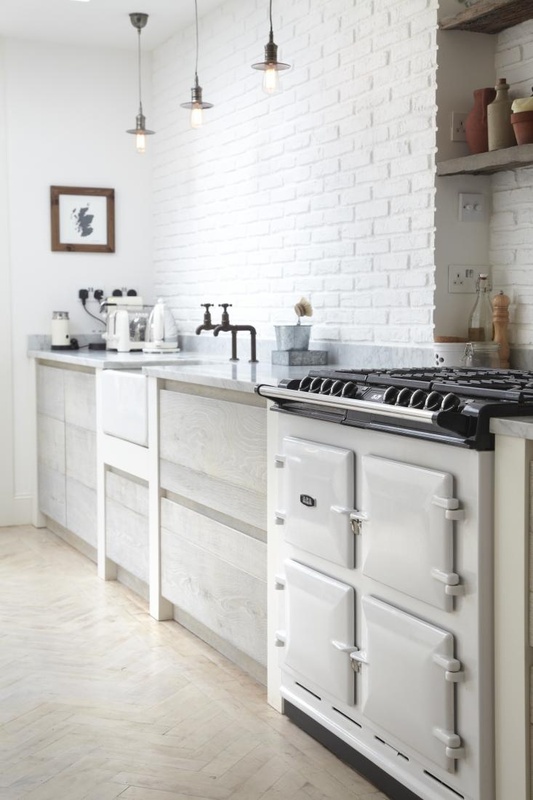 You would think that it would only work with an industrial look but not at all...it works as a contrast in any type of space and adds this incredible warmth. 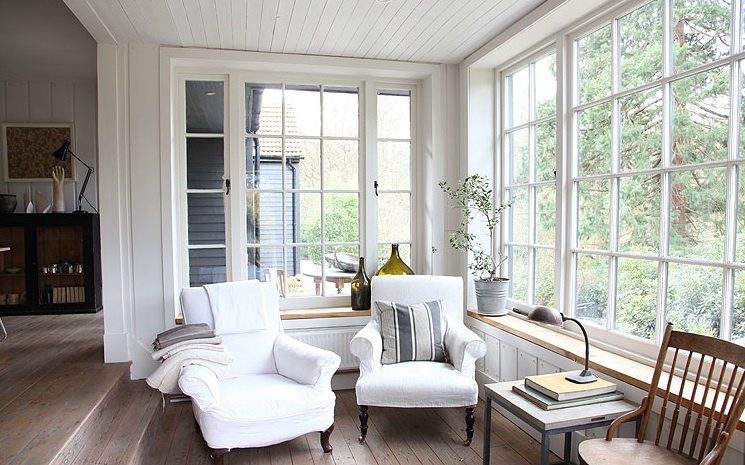 This look is not new but I am loving the way I am seeing it used all over Pinterest in the most unlikely homes. It could be just a touch as in the first photo or used on a wall, floor, in the furniture...really there are so many ways to use it and I am loving it! 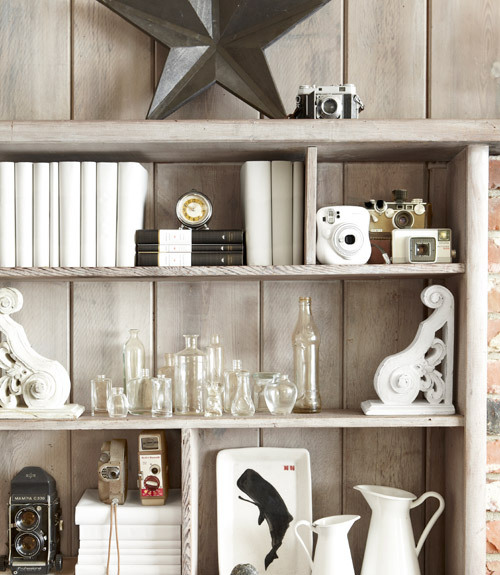 I love the look of wood and white and I have shown many examples of it on the blog in the past. I have come across many wonderful artists lately that are working in wood and I am just enchanted by the work they are doing. Since I too create handmade, usable items, I feel a special kinship to these women that begin with their imagination and through their own hard work and determination make a piece that can be used in someone's home. Doing this work takes perseverance and dedication and these ladies have that and enormous talent as well. The first artist is Ariele Alasko. 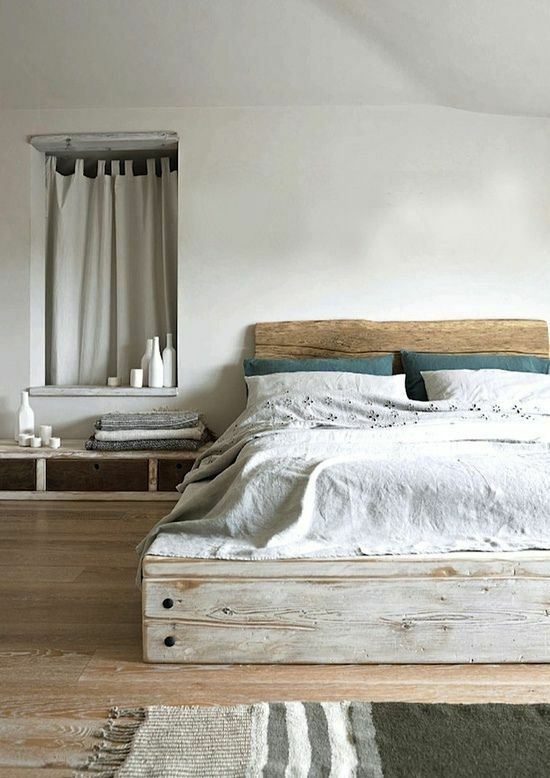 She creates headboards, tables, coffee tables and wall panels from recycled wood. I found Areile through her Instagram where she documents not only her work but her daily life in the studio with her cat and dog. The two animals are best friends and I love the photos she has with them sleeping, eating and playing together. Of course she documents her work as well that is truly wonderful. 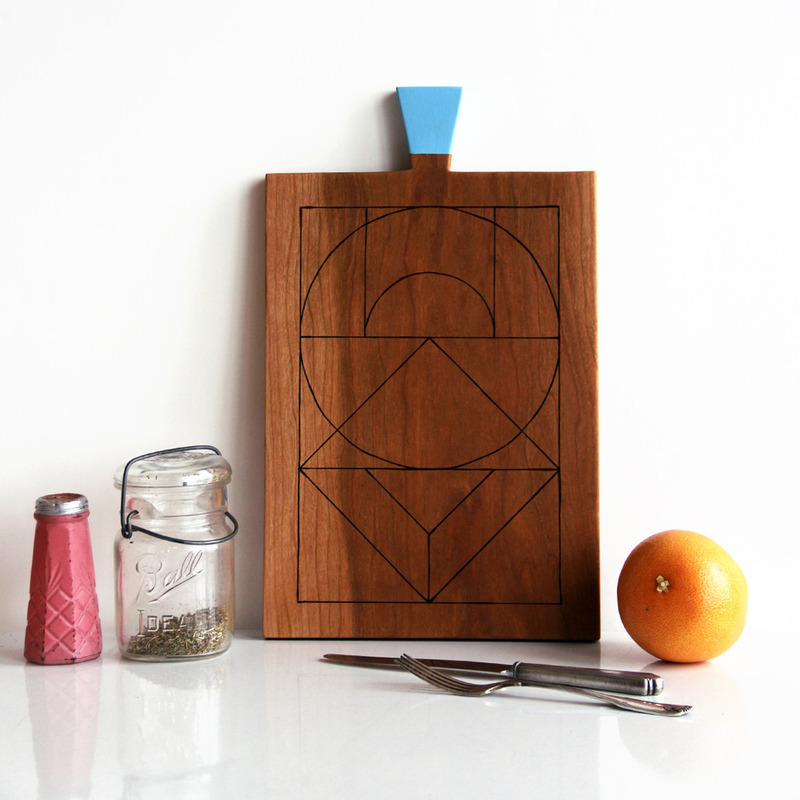 Areile shares her studio with Amelie Mancini who works in wood as well and makes wonderful spoons and cutting boards. She is a French artist and designer now working in Brooklyn. She also does wonderful block prints mostly around the theme of baseball which are really just so clever. I also discovered Nikole Harriott recently and she has a website called Herriott Grace. She is a team with her father who does all of the woodworking, making spoons, cake plates, bowls and cutting boards. Their story is really beautiful and they made a video explaining how they started their work together when her father retired. It is really inspiring and their work is gorgeous. Take a look at some of their work here and visit their websites for more info. 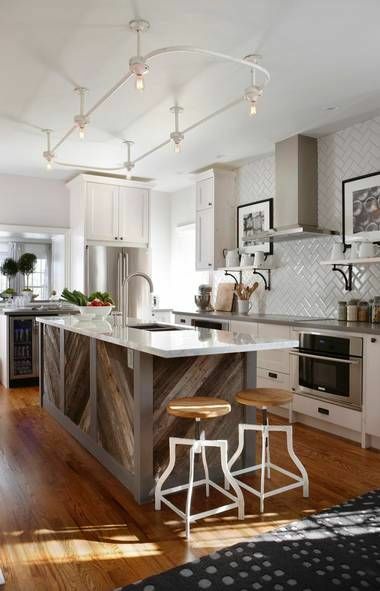 I love the look of chevron or herringbone floors. First they are usually found in older homes...and often in places I like to visit....like Paris for example! 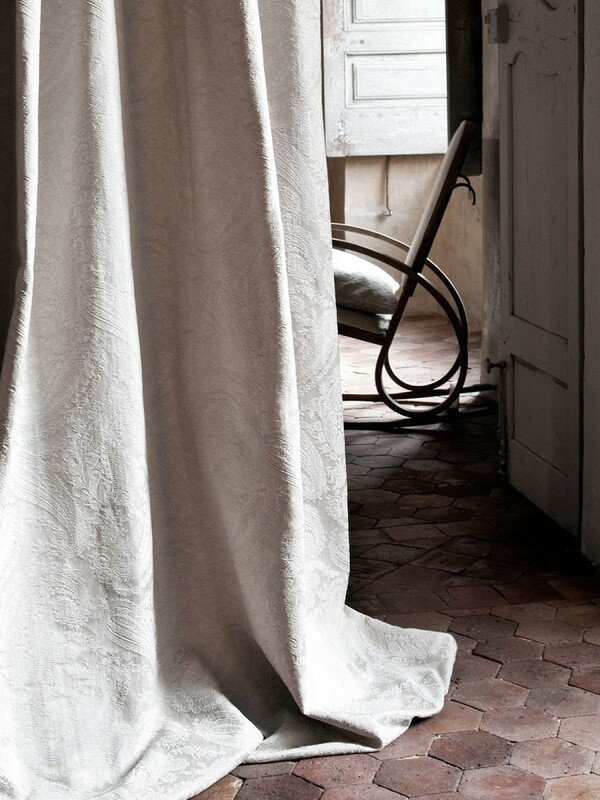 The texture and warmth it gives to a space is fantastic and it looks really good in both white wash and deeper tones as well. I found so many great houses with these amazing floors! 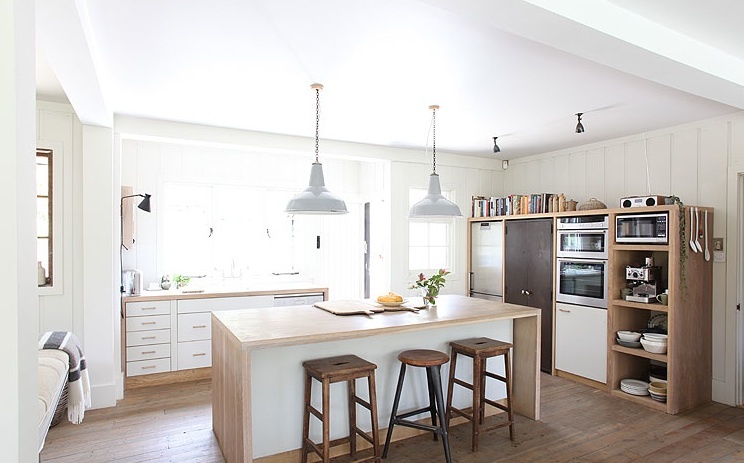 Here are a few homes I blogged about that have them HERE and HERE! 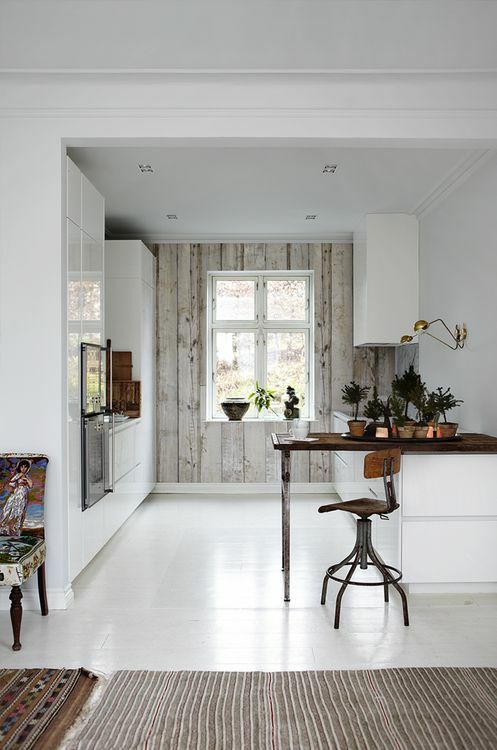 Open style living in this great white home but what I find fun is the wood paneling or wood strips I am not sure....but it looks great. 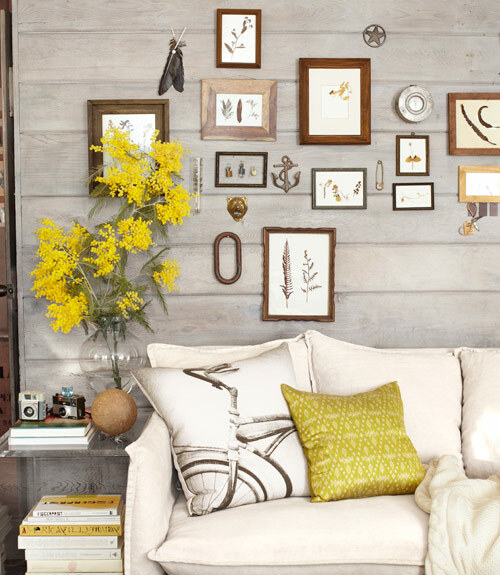 It really adds texture and interest to what is a very simple space. 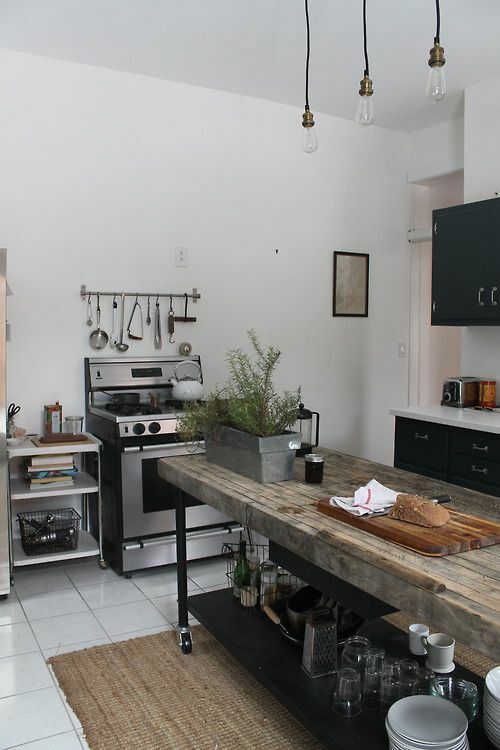 The wood floors and the wood used in the kitchen area add a nice contrast. 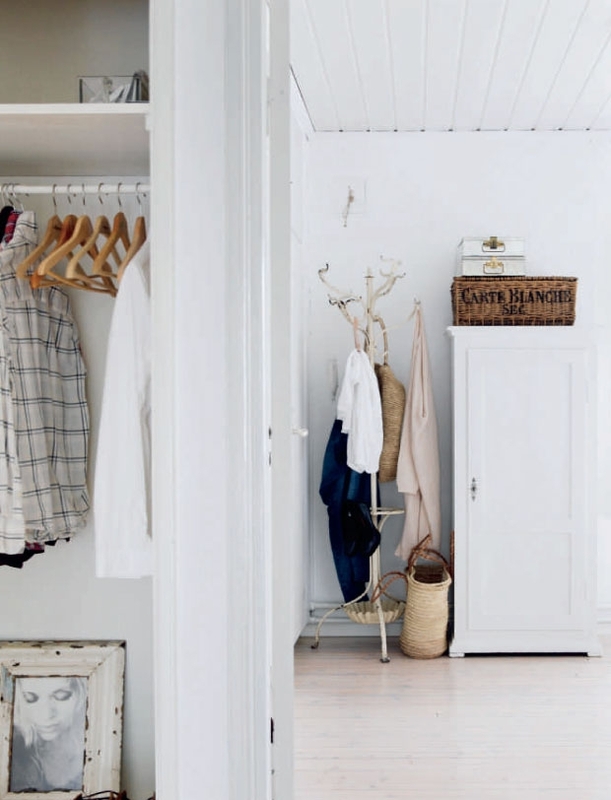 The kids beds are just so cute in white washed wood and that little blue cabinet on the wall is adorable! So much to look at in each picture! 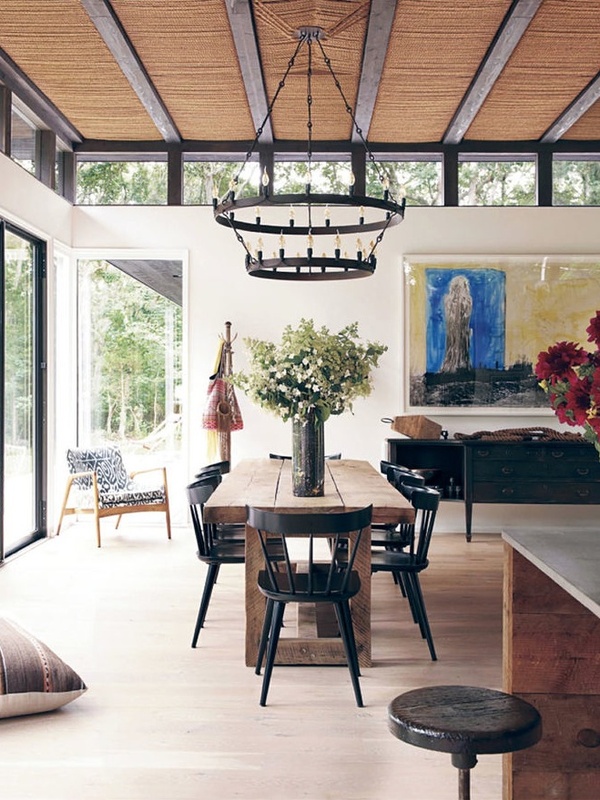 Many elements to love in this cottage situated in the Tasmanian area of Australia. (Doesn't that sound so very outback!) 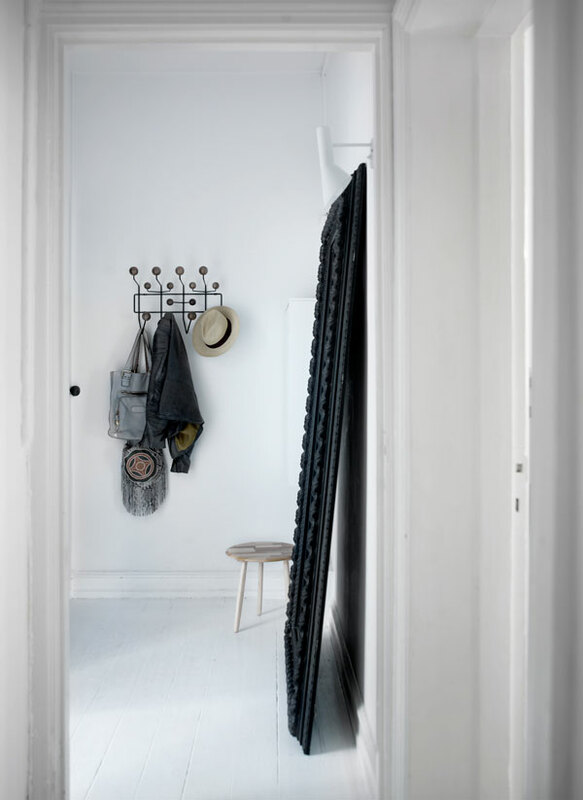 The pretty painted floors go throughout the home and I am really stuck on those amazing entyway doors with the vintage bike in front! 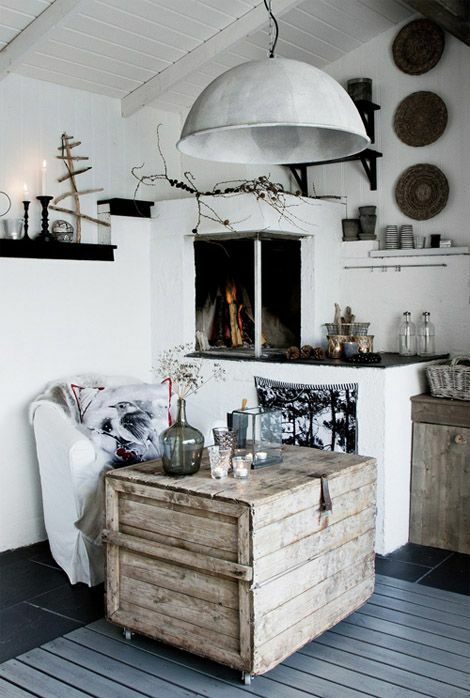 Great styling with the driftwood pieces over the table and the pewter platter is perfectly gorgeous. The kitchen is a surprise done up the a great shade of green in this little gingerbread style home. Very nice.. 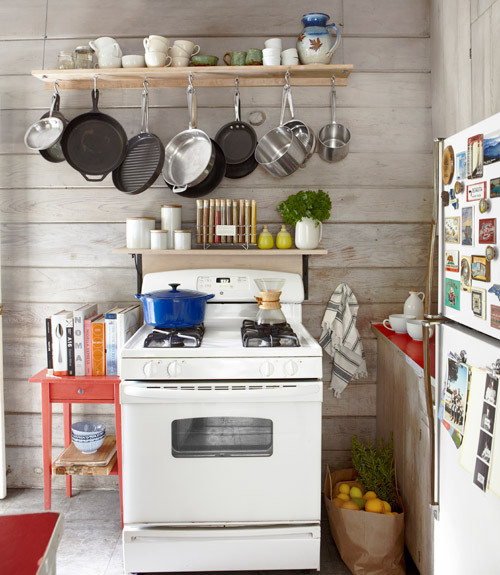 I love this video on entertaining from Kinfolk Magazine and West Elm. 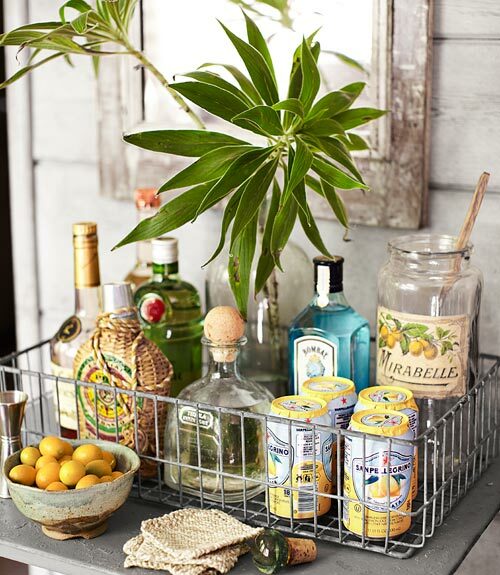 So pretty and some great recipe ideas as well. (I don't know about you but I have not stopped eating for the past four days!) 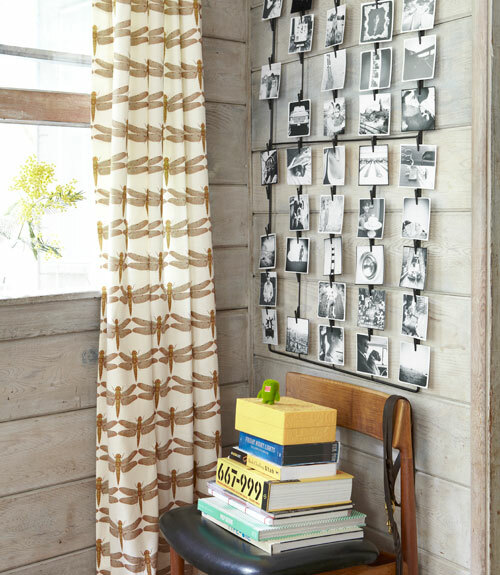 I have also included some lovely photos from Kinfolk magazine. I love the styling and the photography from this magazine.